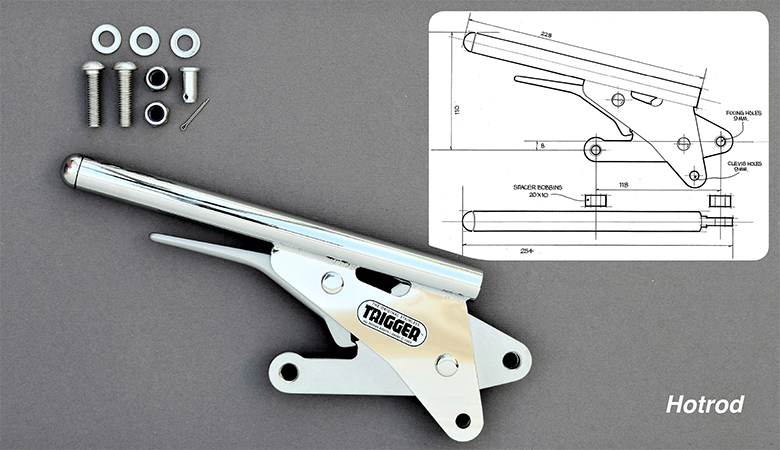 This Trigger handbrake is a traditional Californian- style side-mount which has many applications for specialist car builders. It is a straight replacement for up-grading the American Lokar chrome plated handbrake. It shares the same fixing lug centres. It is also factory-fitted by Casarva as well as other Trike makers. Includes: stainless fixings and spacer bobbins. Weight: 650gms.